NASHVILLE-The newest addition to the state’s Most Wanted list was captured overnight. 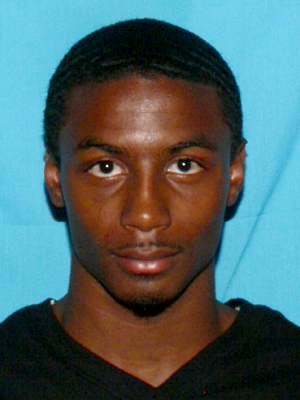 Tevin Mantez Harris aka Tevin “Turk” Harris was wanted by the Springfield Police Department and the Tennessee Bureau of Investigation. Currently, Springfield Police have charged Harris with First Degree Murder. He was also wanted for an unrelated charge of Aggravated Assault. On October 13, 2013, Harris got into an argument with the victim, Thomas D. Smith. Next, Harris brandished a handgun and shot Mr. Smith. After the shooting, Harris was last seen in a late model four door passenger car, white in color. The victim, Thomas D. Smith died of his injuries at the hospital. On October 15, 2013, at approximately 12:45 AM, Harris was located by Springfield Police and TBI agents. Through investigative measures and information from multiple sources, Harris was located at a residence on Grace Street in Springfield, TN. Harris barricaded himself in the basement and after several attempts of negotiations to surrender failed, officers were compelled to apply pepper gas inside of the basement. Harris was taken into custody shortly afterwards as he tried to escape the gas in the basement. Harris is currently incarcerated at the Robertson County jail where he will be held for an initial hearing for the charges against him. RESCUE. DEFEND. SHELTER. SUPPORT. . Today, on Drug Endangered Children Awareness Day, take a few minutes to learn about the work of the Tennessee Alliance for Drug Endangered Children, along with warning signs and what to do to help a child in need.